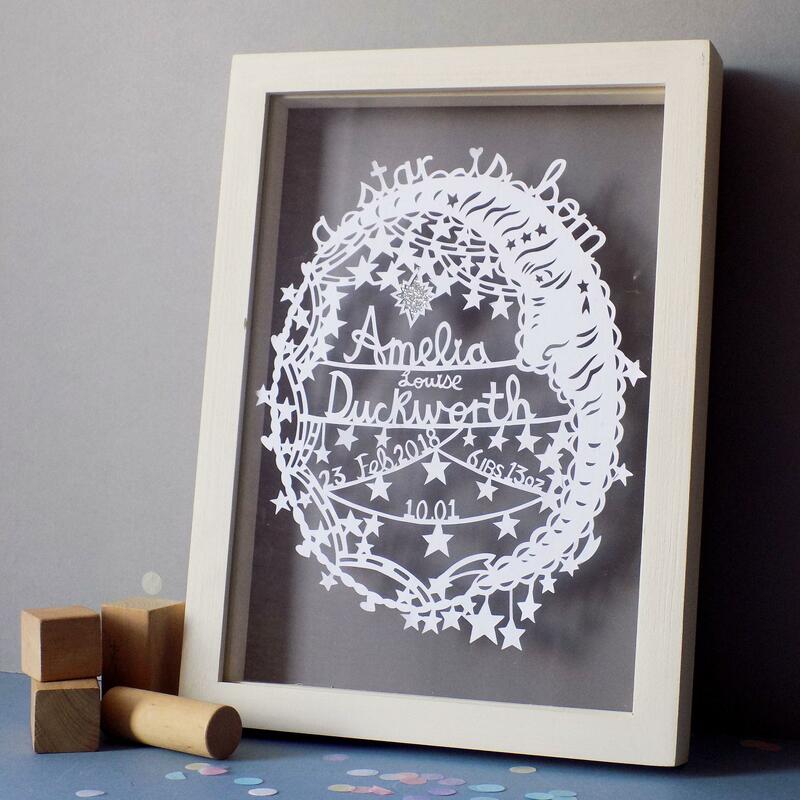 A beautifully personalised paper cut, perfect for new babies and little girls alike. Inspired by cherubs, ribbons and bows this is a great piece of art for any nursery or childrens bedroom . This partially die paper cut wreath is mixed with my hand cutting as I write the name and the details in with my scalpel. Every wreath is unique, although please note the composition may be slightly different depending on name length. Framing Option 2 ; Double glass floating frame, handmade using tulipwood (Image 8). Two panes of glass encase your papercut, with the background paper colour at the back, perfect for catching shadows. 320 mm X 240 mm.